Do you want an espresso like you get in a quality coffee shop? This is your baby. Many of the home model espresso machines on the market use extra ingredients or tricks to try to produce the magical perfect espresso. The Nespresso CitiZ Automatic Espresso Maker does not. It uses just pure espresso coffee grounds and that is it. This is essentially the machine you see in coffee shops, but in a smaller form. Despite its size, it produces a quality espresso. It produces a fast, blazing hot cup of espresso just like you get in the finest coffee shops. The brema it produces is so good, it would pass a taste test with any brema produced in a shop. Is there any downside to the Nespresso CitiZ Automatic Espresso Maker? Yes – the price. You are going to pay $350 for it, give or take, on the web. 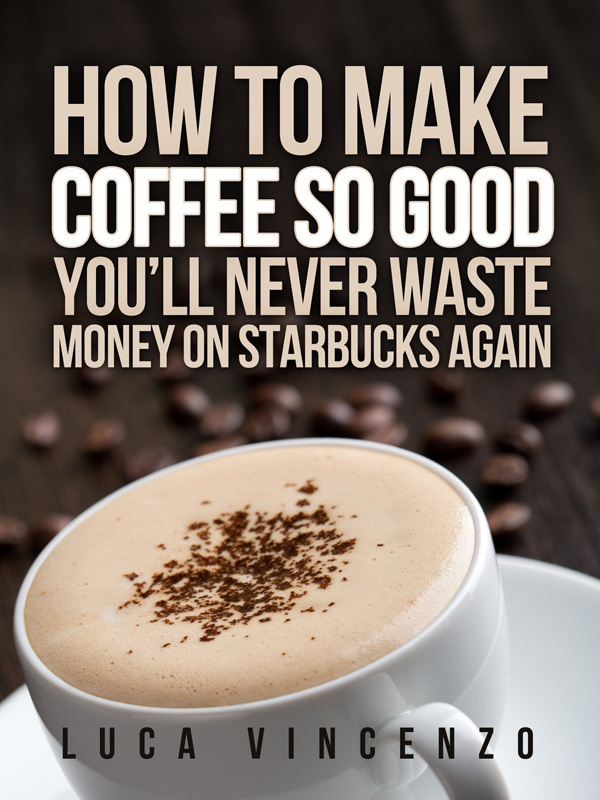 If you drink espresso frequently, it is more than worth the cost. If you drink espresso only on rare or special occasions, it might be a bit expensive for you taste. Still, this is our highest rated choice by far. The Breville Barista Express BES860XL is essentially the espresso machine that you find in coffee shops. It is not a professional version, but it beats out most other espresso machines in flexibility. It gives you, the barista, the ability to mix and match your brewing approach. You can change the grind amount, ground size and tamping pressure to produce different espressos and brema. It is often said that the Breville Barista Express is best for those espresso drinkers who wish to learn the art of brewing espresso. While a noble idea, one has to ask if this is really what you want? Personally, I prefer a machine that is going to produce a quality espresso ever time versus one that is reliant on my technique. If you want to learn to be a master barista, this is the machine for you. If you just want quality espresso, I prefer the Nespresso mentioned above. Is there an objective downside to this espresso machine? Yes. Again, it is the price. This Breville model will cost you a cool $600 or so online. That is a serious commitment and another reason why we rate this below the Nespresso CitiZ model mentioned above. Is there an espresso maker that you can get online for an affordable price? Well, one always has to remember that you get what you pay for. 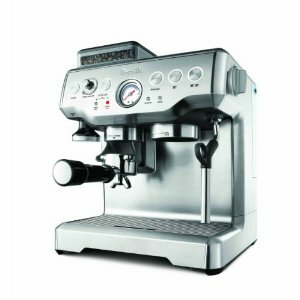 Still, there are some hidden gems in the espresso machine field and the De’Longhi BAR32 Retro 15 BAR Pump Espresso Maker is certainly one with a price tag of $95 to $100 depending on where you shop. This is a great little espresso maker. It works with espresso coffee grounds or ESE espresso pods which come from Italy and are a preset form of grounds. The machine is optimal for making one espresso at a time. It claims to make two as well, but the results are often iffy at best. Again, you get what you pay for with this device. 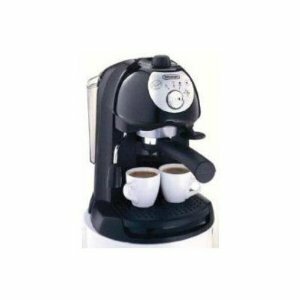 On a practical level, the De’Longhi is easy to use with only two buttons to manipulate. It also has an excellent steam wand that is easily maneuverable. The tamper is built in for ease of use and, despite its small size, it has a large enough water tank to make six to eight espressos quickly. Will the De’Longhi give you a coffee shop quality espresso? No. Will it give you a better than average espresso? Yes. If you are looking for an espresso machine for around a hundred bucks, it will be hard to find a choice better than this one. Espresso is obviously very much a matter of subjective taste and so are the espresso machines on the market. 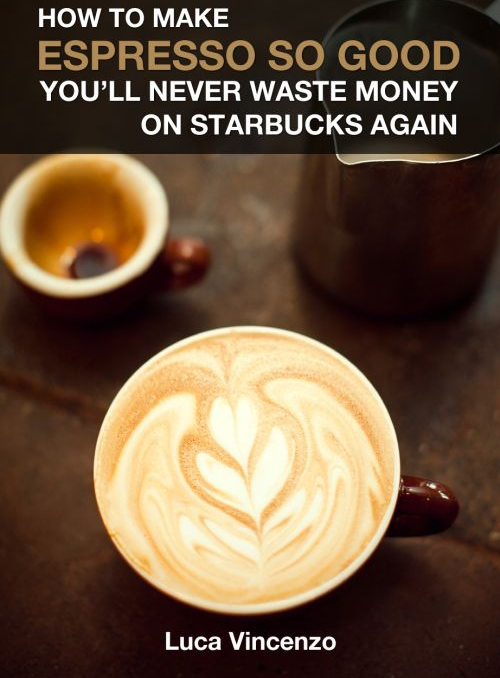 You can go nuts and spend $3,000 or more on coffee shop quality machines. 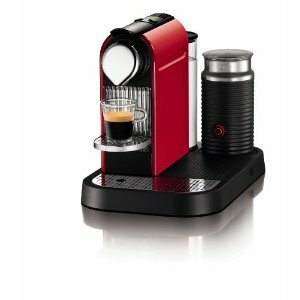 Assuming that price is a bit steep for you, any of the above three are great choices with the Nespresso CitiZ Automatic Espresso Maker the best all around machine when taking into account price, usability and quality of the espresso produced.